All of us parents are doing our best. I’ve recently decided to believe this as truth. It’s not always easy, but I get nothing out of believing otherwise. And I realized that when I do have a hard time believing this, it’s almost always because I’m having doubts about my own parenting. It’s taken me an embarrassingly long time to come to this place, but if I’m not going to judge other parents, I’ve also got to stop judging myself. It is what it is. And, made late or not, this decision has been life-changing. It has opened deep stores of curiosity, empathy and feelings of camaraderie. Instead of judging, I want to know more. I want to know if I can help. I can question if I’m the one who needs help (and I’m better able to ask for it when that’s the case). I see clearly that I’m in it — not above it — which is so helpful, since feeling above it only led to loneliness. Soul sucking, parenting kryptonite loneliness. Long ago, when my grandmother was raising her young children in a little village in Greece, she did so with the help and support of all the other moms in her village who, together, lived a largely shared experience. Living and relying on your community that way are very difficult today when it’s far easier to focus on the many ways that our experience is not shared. For me, that mindset led to judgement and isolation. Shifting my focus to what is shared, even if just the fact that we are all parents trying to do our best, has helped me become part of a beautiful, varied, open, dynamic network of support that I think would make my grandmother happy for — and proud of — me. 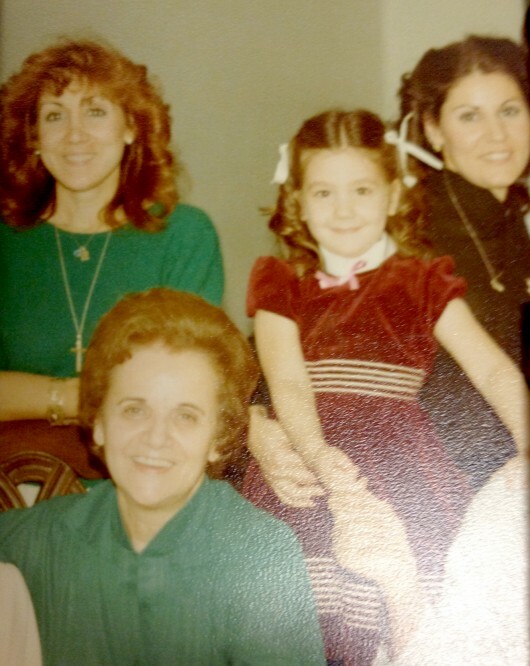 Me (as a little girl) with my yiayia (grandma in Greek), my mom (top left) and my aunt (top right) — the ladies who raised me! Mamas, I beg you: ask for help when you need it or even just when you want it. Asking for help does not make you a bad, inept, privileged, selfish, spoiled parent — or anything of the sort. It does not mean you are weak or clueless. Help is your lifeline. Without help, I have no freaking clue how I’d write, work with clients, be around for my kids as much as I am, keep my house clean, go on a date night once a week, cook dinner 6 times a week, pack school lunch 5 times a week, make sure that my family has clean laundry — and even make sure that I get a pedicure when I want one. 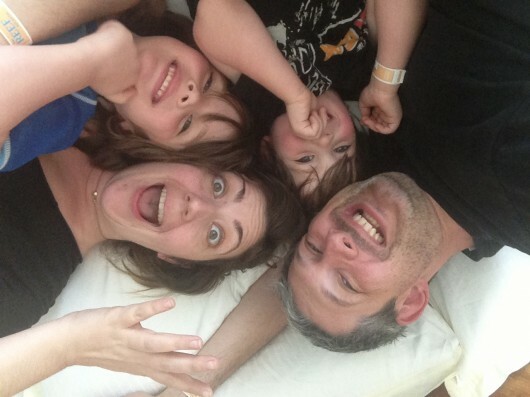 I also have no freaking clue how I’d know what to do when I’m worried sick about my kids, going through a rough patch with my husband, at the end of my patience with my entire family — or when I simply need to get a clear perspective. My friends, family and the other mamas and papas in my support network all help me to see clearly when I can’t —but only when I’m able to ask them. A set of wide mouthed mason jars. I’m obsessed with these all purpose containers! I use them for holding colored pencils and beads, as extra glasses when all of our other ones are in the dishwasher, to shake up salad dressing when I can’t be bothered with a whisk, for sealing up extra juice from the juicer or soup from the pot (my latest favorite is this Chorizo & Chickpea Soup), for using in place of a baking pan when I want to turn ordinary cake batter into extraordinarily cute individual cake treats, for taking my green tea Matcha Latte on the go (with one of these genius mason jar toppers ) and so much more! I promise the $15 investment is worth it.